Do you trust your landscape gardeners ? 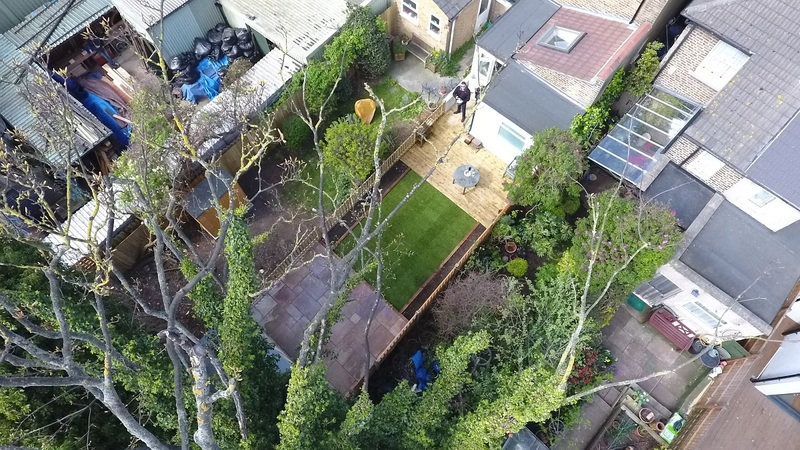 Reliable and Trustworthy Landscapers in Walthamstow London. Green At Home professionals will work on your ideas and shape them to deliver the desired results. 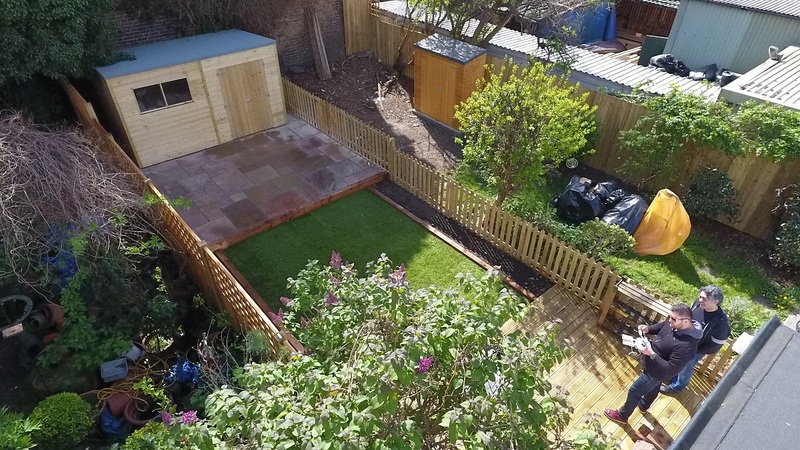 Do you want a new good looking garden, you certainly do! Wide range of services when it comes to gardening in Walthamstow . 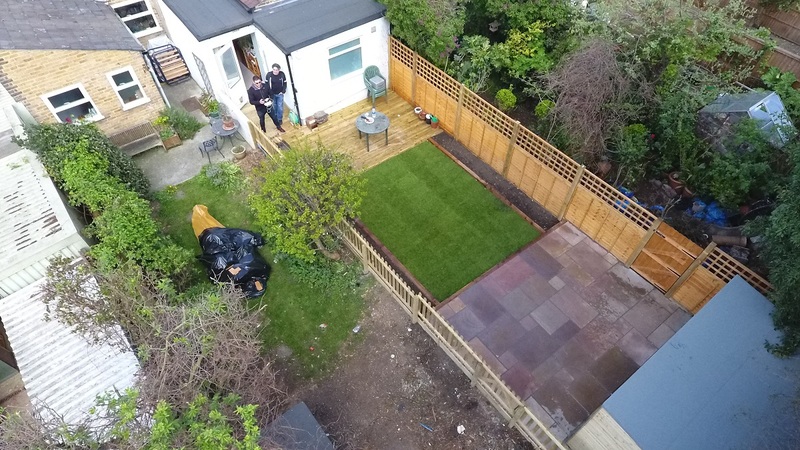 At the photographs on the left is shown how we have improved the garden at this landscaping project in E17 London. All started with an email from our client, and soon after we arranged most convenient time and date for viewing. There are three gardens involved in this project, as the main work is at the middle one. 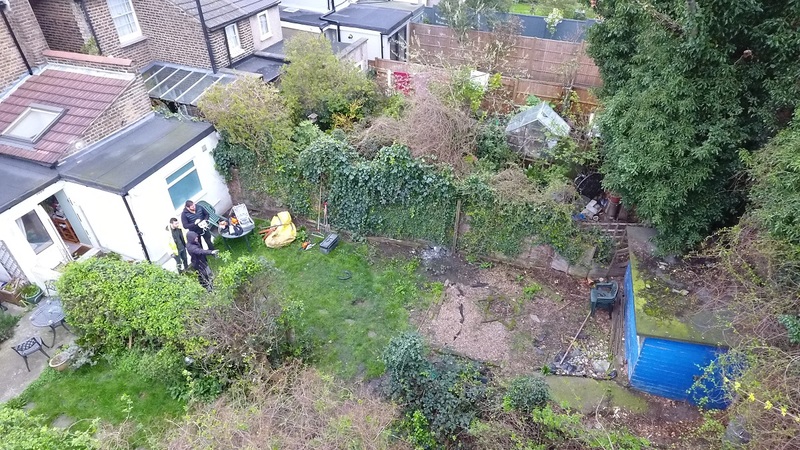 Work started with a massive garden clearance and disposing of all green waste. 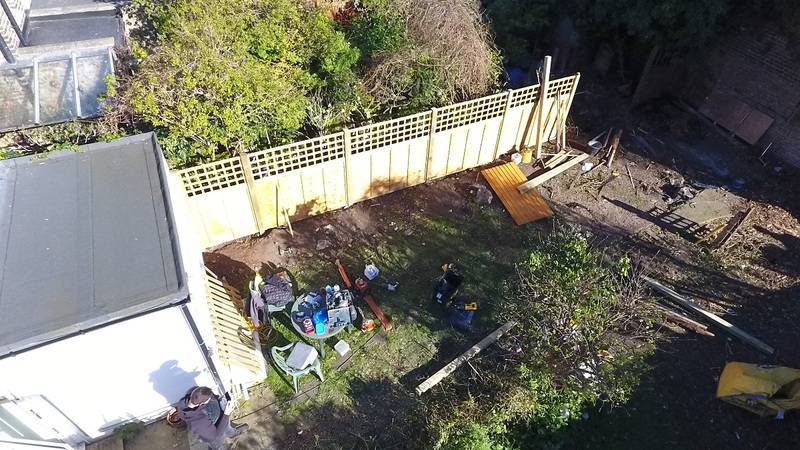 Wooden fence and trellis installation. Wooden post and panels covered with square framed trellis on the top is ideal for climbers plants that will grow over the trellis. On the another side of the garden we placed a lower picket fence, that will allow lore light to reach in to the garden. At the back of the garden we laid new concrete shed base and natural sandstone patio. Once the concrete shed base dries well, then we assembly the wooden garden shed. Tip: We have to make sure the base under the new patio is well compacted. 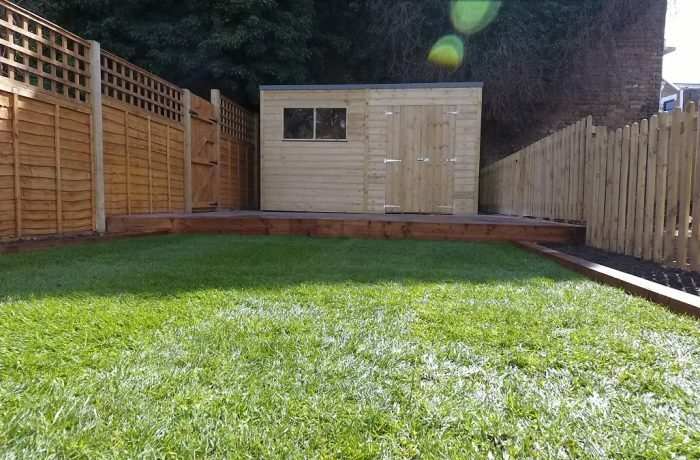 Decking boards in perfect alignment really make the finish of the garden. We use wooden sleepers to separate the fresh lawn from the flower beds.